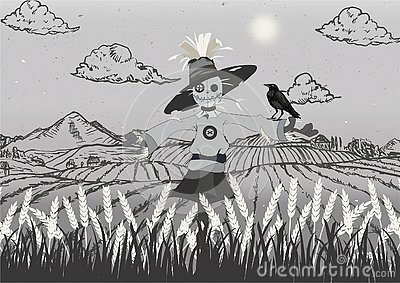 Illustration of scarecrow on the field with crow. Image is illustrated in details, black white and grey colors. Photo artwork oil painting on canvas. Birds.